Indian-American IT professionals staged two rallies in New Jersey and Pennsylvania of the USA. They were demanding a solution of the backlog in obtaining green card which is presently massive. Furthermore they were seeking the elimination of country wise quotas. 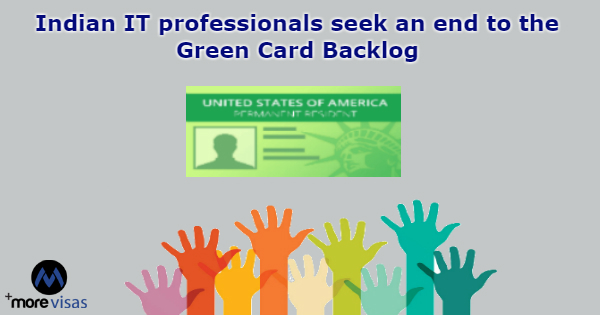 Participants said that this country based quota for Green Cards was the main reason to cause this backlog. They were also carrying posters on the subject, which displayed matters, regarding removing the Country Limits, numbers who had to wait for nearly 90 years. Additionally they asserted that they were not doing wrong. GC Reforms are the organizers of these rallies. They have said that this was the right time for the Congress, Senate and White House to work in this matter. They must take firm steps to solve the problems faced by High Skilled immigrants. The green card permits an individual to live and work in the United States permanently. Indo-Americans are highly skilled and most of them arrive in the country by using the H-1B work visas. They are the sufferers in the present immigration system because there is a seven percent quota for every country to allot green cards. Consequently, based on the present statistics the present waiting period for Indians can stretch to 70 years. At this rally, children shared their stories mentioning that the children of H4 visa holders will not have any status when they reach the age of 21years. They appealed to all lawmakers to treat the children equally when immigration is discussed. All the children who arrived in the country in a legal manner in the company of their parents must have a pathway to get proper citizenship.